"I am not an estimate, I'm a free man!" 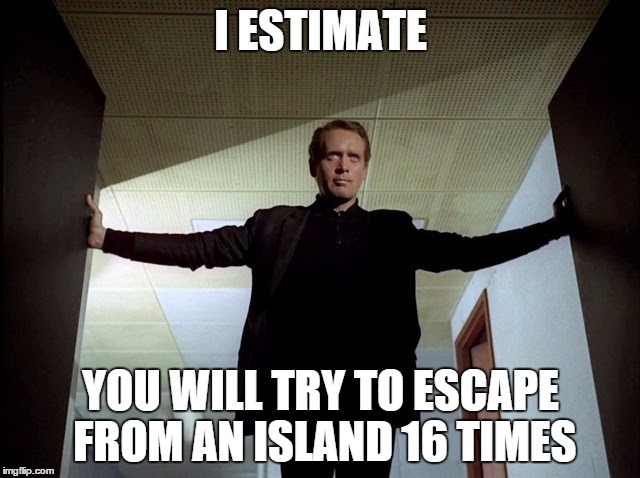 How estimates affect negotiations between business and development, and how those negotiations turn into a prisoner's dilemma. We assume that a contractor’s estimate has fat in it, and we assume that we need tough negotiation to squeeze it out. Now on the buyer’s side. She wants the job done at the lowest price. In most cases, the buyer does not know how to do the job, otherwise she’d do it herself. (Or, if she’s outsourcing work she does understand, she’ll see through the estimate, if it’s too high). In that case, there can’t be negotiations on the content, but only the estimated cost. She want to pay as little money as possible, and she knows that the contractor is already beefed up the estimate, so there’s sure to be negotiations. It’s her interest to negotiate to reduce the cost. While she is in control until the decision, once committed, she risks entering into a bad deal. As Ron said, if the actual cost is lower, she will get worse quality than she expected.